North on I-75 to North on I-675. Exit 4B – Kettering, Route 48. North on Route 48 (approximately three miles). East (right) on Stroop Road. North (left) on Shroyer Road. East (right) on Lincoln Park Boulevard. West on I-70 to South on I-675. Exit 10 – Dorothy Lane. West (right) off exit ramp onto Dorothy Lane. South (left) on Stroop Road. North (right) on Shroyer Road. East (right) on Lincoln Park Boulevard. East on I-70 to South on I-75. Exit 50B – Kettering. South (left) off exit ramp onto Springboro Pike. East (left) on Stroop Road. North (left) on Shroyer Road. East (right) on Lincoln Park Boulevard. South on I-75. Exit 50B – Kettering. South (left) off exit ramp onto Springboro Pike. East (left) on Stroop Road. North (left) on Shroyer Road. East (right) on Lincoln Park Boulevard. 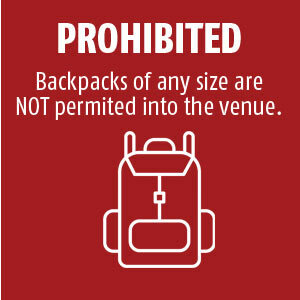 Please allow sufficient time to park, walk to the venue and enter the gates. 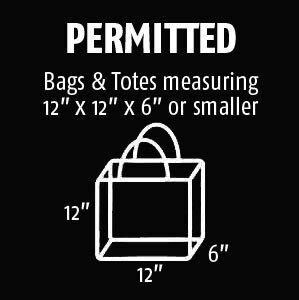 Bags/purses size limited to 12″x12″x6″ – any bag larger than 12″x12″x6″ must be returned to vehicle and cannot be item checked.